I'm so excited to share this post with you! 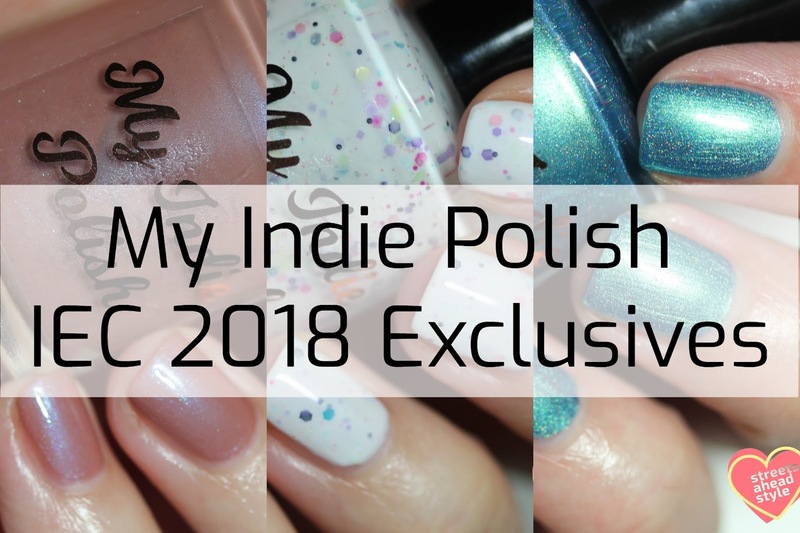 Today, I have the swatches for My Indie Polish's Indie Expo Canada trio. These three polishes will only be available at IEC on June 10, 2018 (if there are any left over, they will be available onine). Set purchases (of all three) will include a mini lavender chamomile’s salve (which is awesome by the way!). 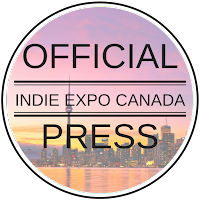 The Indie Expo Canada 2018 Trio consists of three colours in My Indie Polish's classic formulations: a crelly, a shimmer and a holo. These will be $13 CAD each or $35 for the set (plus the mini salve). I'm going to start with my favorite. My Indie Polish Started From the Bottom is a classic white crelly with lots of glitters and a dash of pink shimmer. Three thin coats plus top coat so that I could get lots of beautiful layers of glitters. I could have gotten away with two coats. This is so smooth even without top coat. 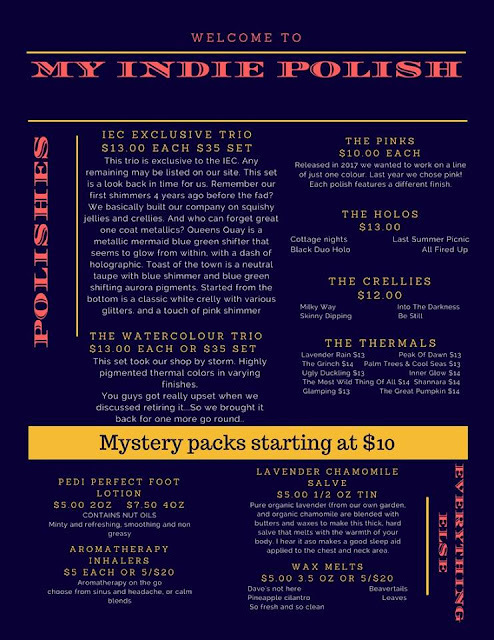 My Indie Polish is the OG classic crelly maker and this is just perfect. Second is My Indie Polish Toast of the Town, a stunning neutral jelly packed with blue to green aurora pigments and a blue shift. I am wearing two coats plus top coat. This is another stunner and it's going to be a great natural for a lot of different skin tones. The shimmer in this is quite subtle which makes it very elegant. Last but not least is My Indie Polish Queens Quay, a deep shifty blue/green/gold metallic cream with a touch of holographic. This was almost a one coater. It applied so smoothly and effortlessly. I am wearing two coats plus top coat. This reminds me of a mermaid and the ocean waves. The holo is really poppin' too.